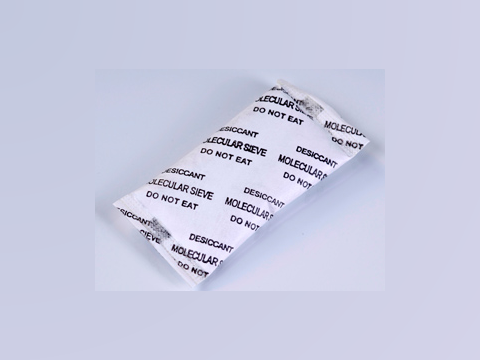 Our comprehensive range of Silica Gel Packets is made of non-toxic, non-hazardous silica gel beads. 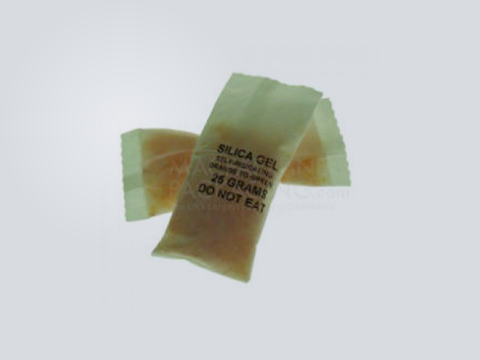 Silica gel made from silicon dioxide, and can absorb about 40% of its weight in moisture and can take relative humidity from the packaging environment. 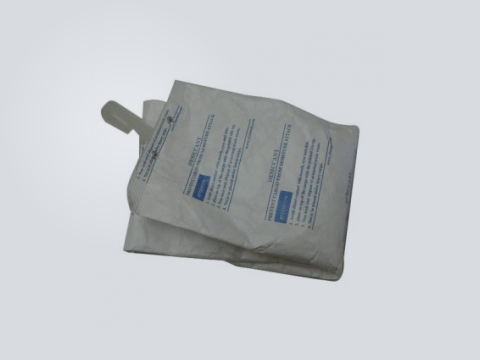 It’s the perfect companion for your packaged goods for Primary, Secondary & outer packing. 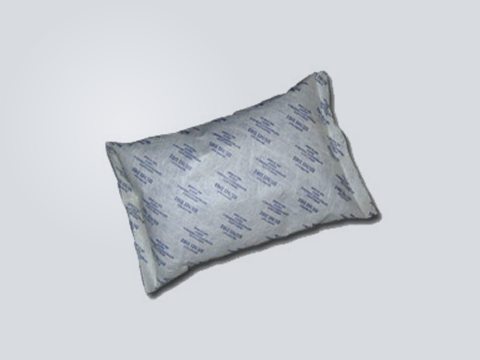 Our comprehensive range of Molecular Sieve 3A or 4A Packets is made of non-toxic, non-hazardous silica gel beads. 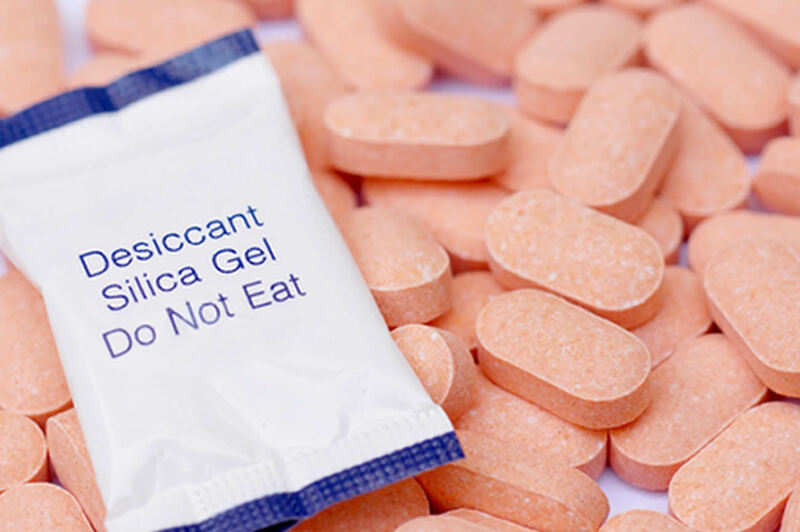 Silica gel made from silicon dioxide, and can absorb about 21% of its weight in moisture and can take relative humidity from the packaging environment. 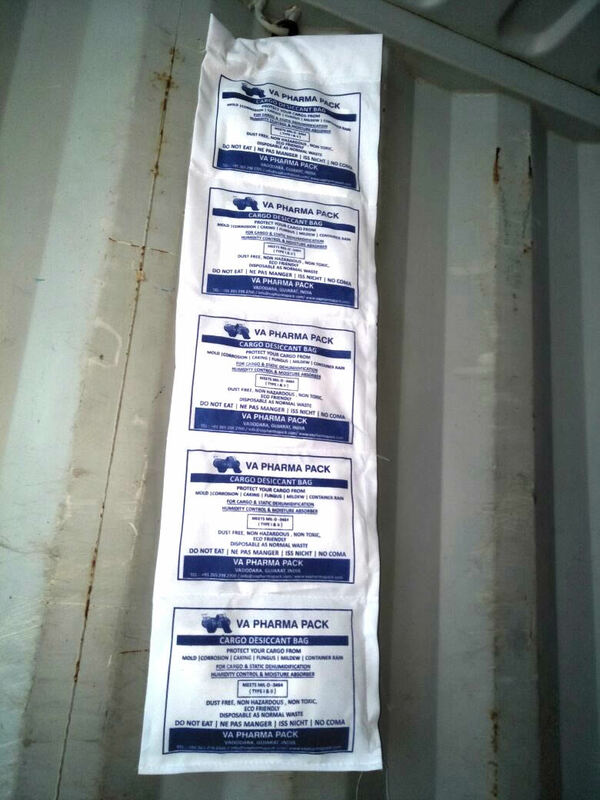 It's the perfect companion for your packaged goods for Primary, Secondary & outer packing. 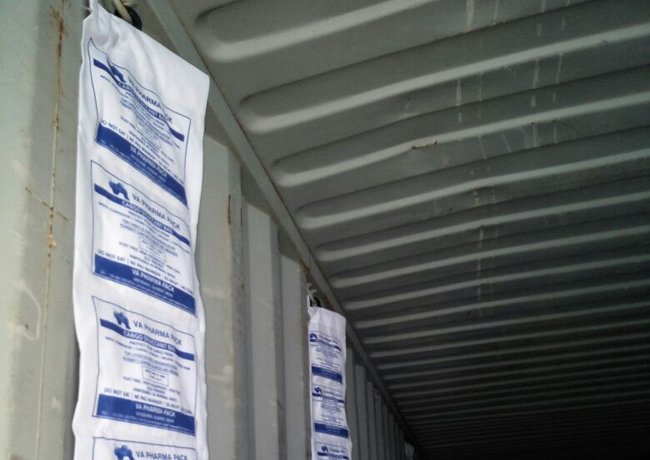 Container Cargo Adsorbent is a unique product designed specifically for shipping & transportation industry. 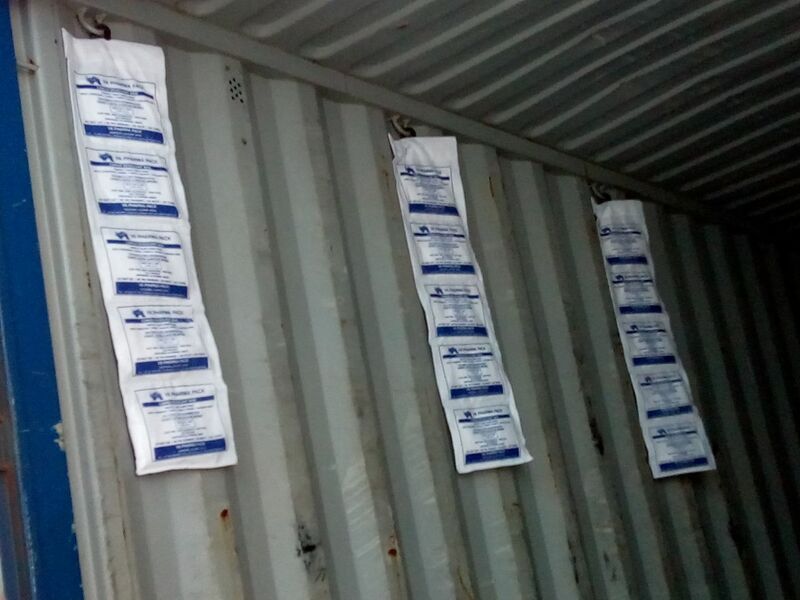 It’s unique design allows it to adsorb high amounts of moisture over long periods of time. 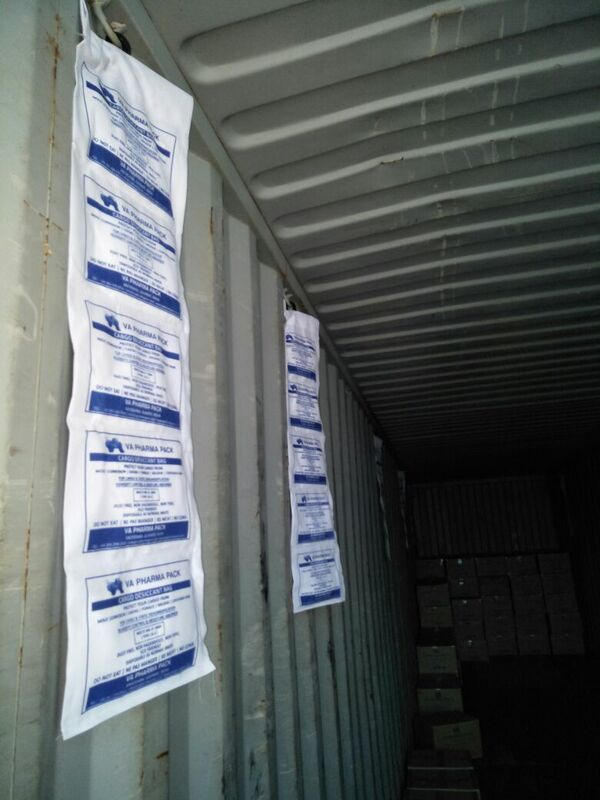 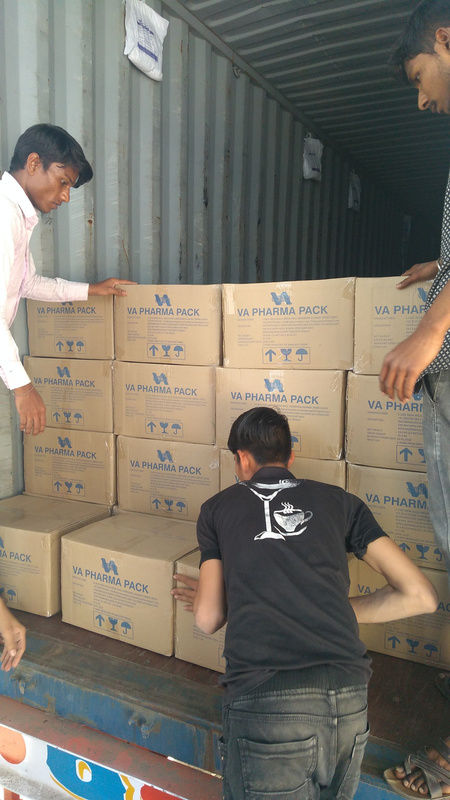 It can adsorb upto 250% of it’s weight in moisture in cargo containers. 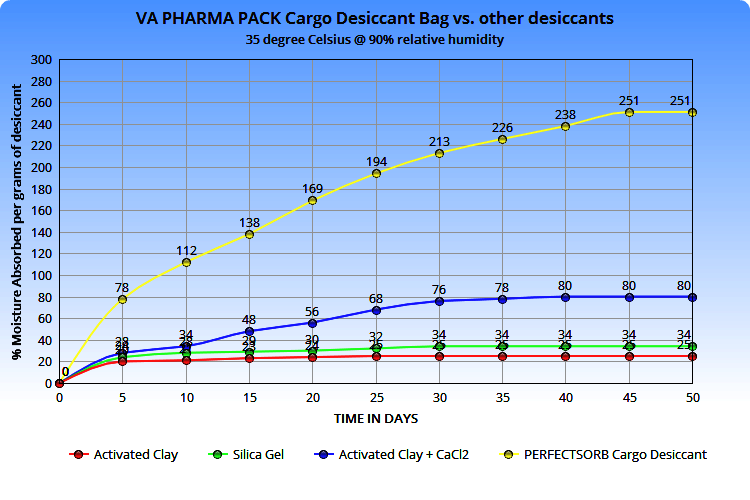 Clay & Calcium Chloride are the desiccant packed inside a Tyvek ® & Spun-bond fabric. 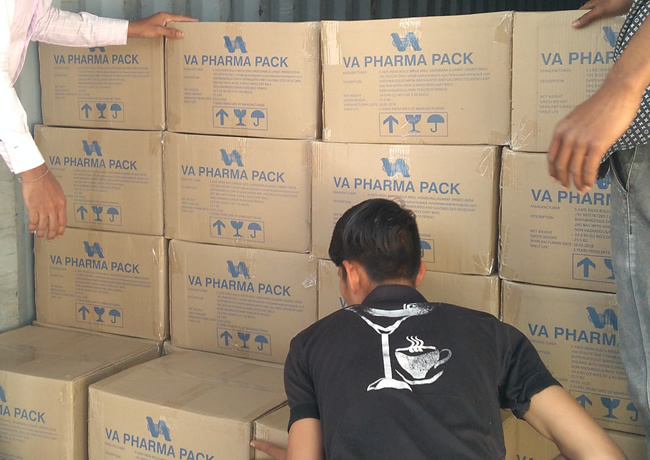 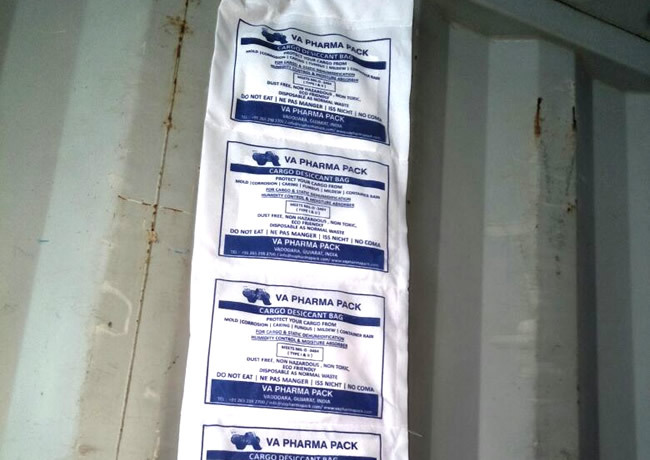 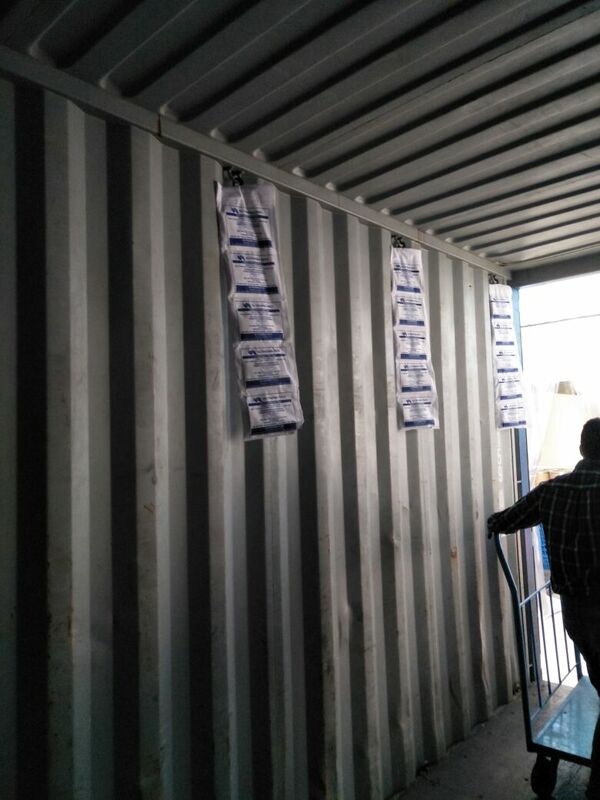 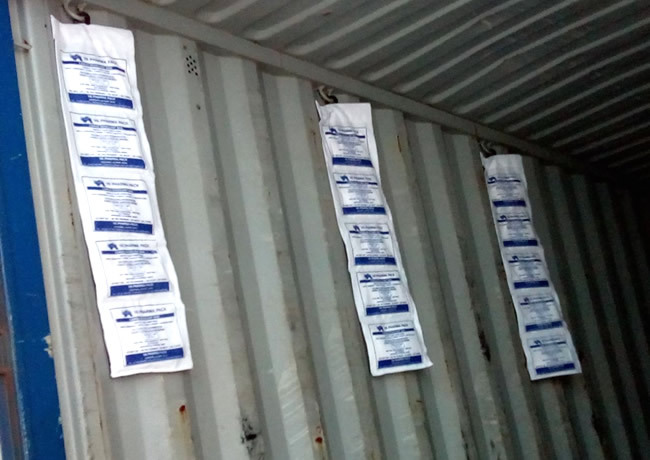 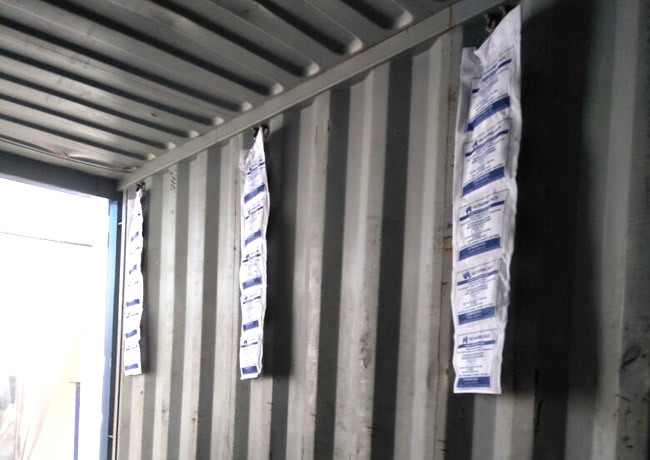 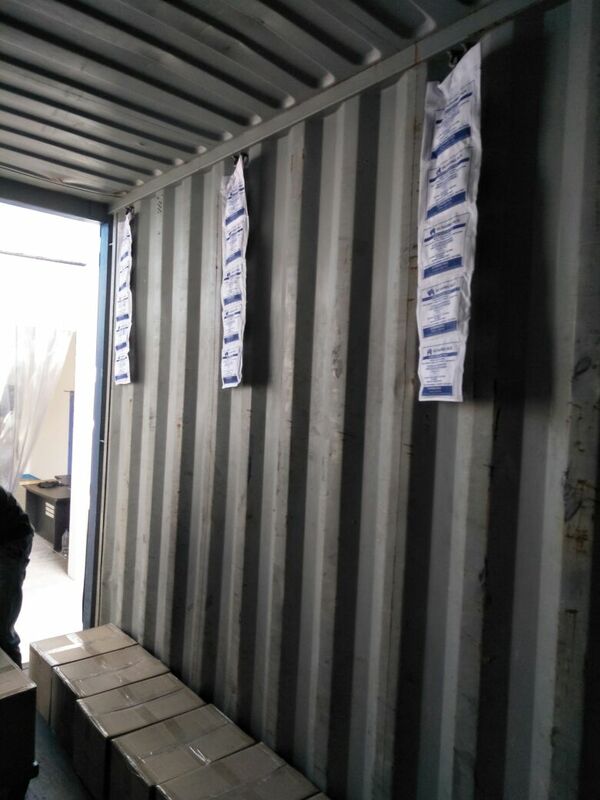 The bag can be either laid or hung inside cargo containers to strategically fight moisture build –up & container rain. 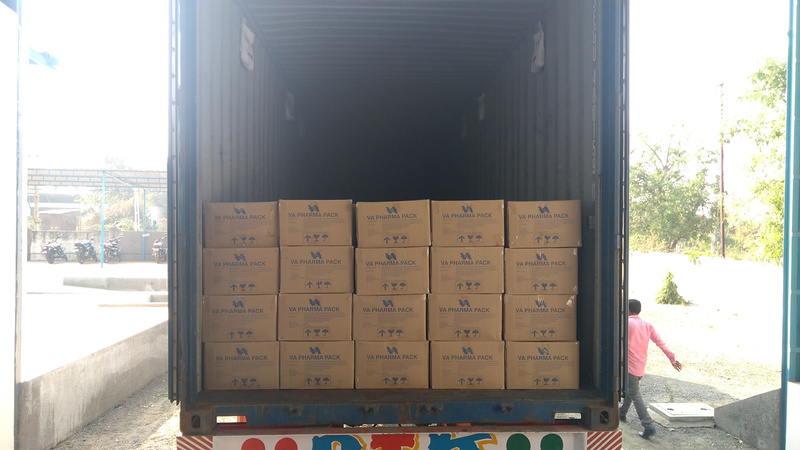 Activated Clay Packets are made of Bio-degradable bentonite, montmorillonite desiccant beads that can adsorb more than 40% of its weight in moisture over a long period of time. 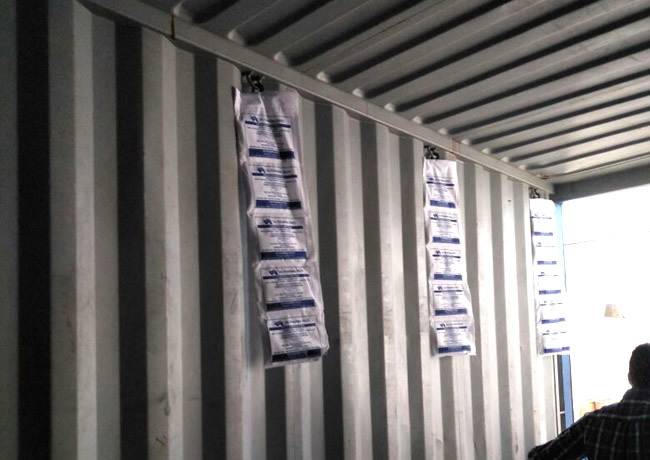 The adsorption in these beads remains unhindered even at low temperatures, making them perfect for long-term storage in all climates. 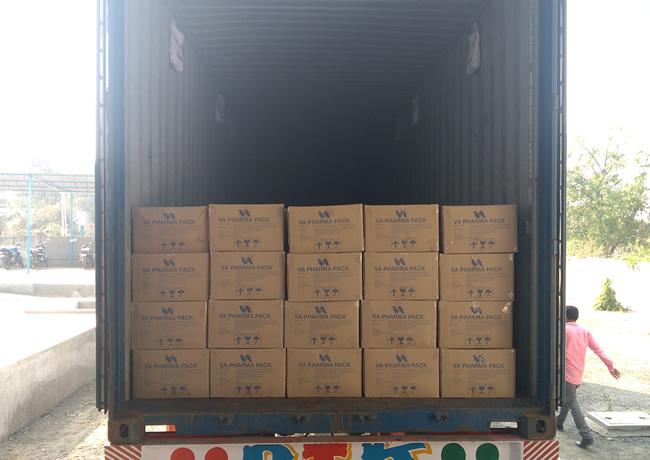 Activated clay beads are natural desiccants of choice for export oriented market, as they can be disposed of in any land-fill.